Xiaomi’s Redmi Note series has been incredibly popular in India with the Note 4, as well as the Note 5 duo, being among the best-selling smartphones in Inda. And now, as Xiaomi seems to be preparing for the next upgrade of its noted Note series, we’ve come across leaks that point at the possible specifications of the Redmi Note 6 Pro. 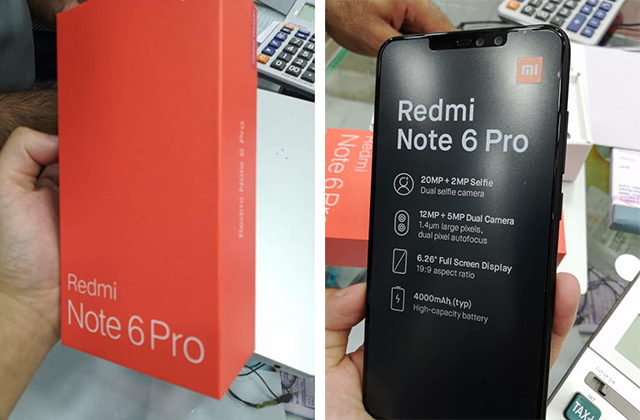 Recently popular leakster Slashleaks shared some images of the Redmi Note 6 Pro and its packaging which not only reveal its appearance but also gives us a glance into the hardware that could be firing up the Redmi Note 6 Pro. 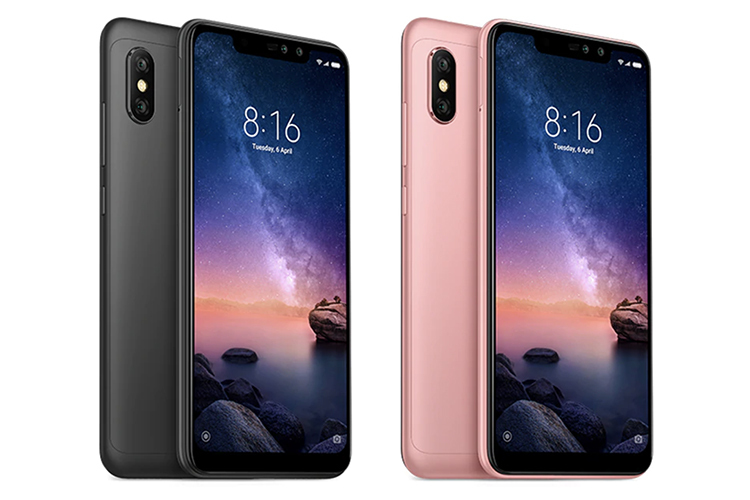 While Xiaomi appears to be sticking with the same internals, the biggest change the last generation seems to be the notch above the new 6.26-inch display which has the same super-round bottom corners and wide notch as the Poco F1. On the inside, the Redmi Note 6 Pro is powered by the same Snapdragon 636 while there’ll be options between 3GB and 4GB when it comes to RAM. The two leaked storage options include 32GB and 64GB, and these specifications are fairly standard. The battery capacity too is the same at 4,000mAh and even the outer design appears to be about the same as the Redmi Note 5 Pro with slightly bigger plastic bands above and below aluminum back. And yes, Xiaomi is still not giving up on the micro USB jack for charging and data transfer. Another differentiating point beside the new notch-ed display is the dual camera setup on the front. Besides the 12MP+5MP rear cameras, which are same as the last year’s setup, the Redmi Note 6 is tipped to get a 20MP+2MP dual camera setup for selfies to keep up with the growth of demand for bokeh mode in both the cameras. 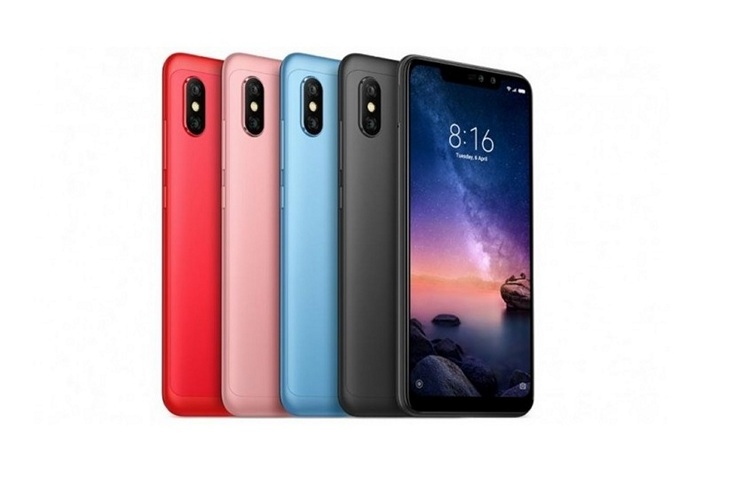 Meanwhile, the retail unit of Redmi Note 6 Pro is already up for sale on AliExpress with a starting price of Rs 14,653 (might vary with the change in the value of the Rupee). This unit supposedly has a Samsung-made AMOLED display, though that is not seen in the Slashleaks leaked image. The four available colors include black, blue, rose gold, and red. These specifications coincide with those revealed in the leak above and suggest that the launch could be really close.